Hon’ble Minister for Agriculture and Forests officially launching the Pests of Bhutan website and database[/caption]The Pests of Bhutan website and National Plant Pest Database was launched on 12th May 2017. The launch ceremony was graced by Hon’ble Minister of Agriculture and Forests. 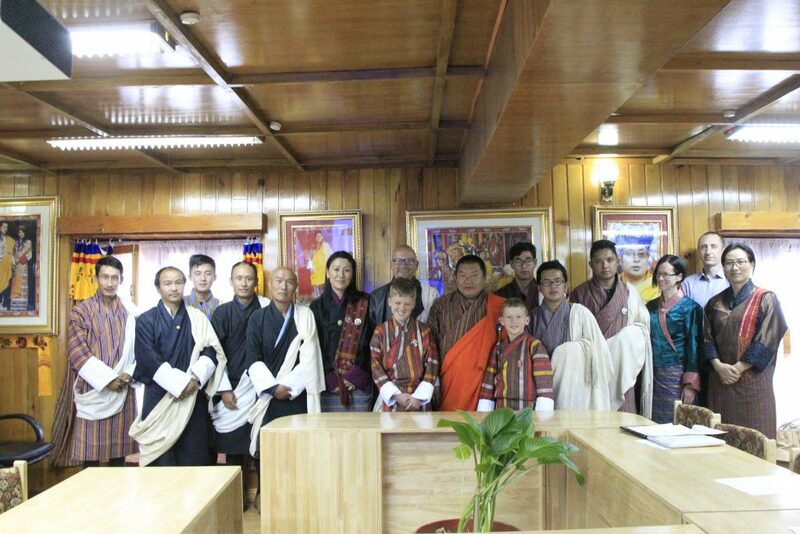 It hoped that it will help support the agricultural industry in Bhutan by making the latest Information on plant protection available to extension officers, researchers, Agri-Businesses and farmers across the country. It currently contains pest fact sheets for 50 invertebrate pests, 15 pathogens, 1 vertebrate pest, 2 invasive weeds and general weed management across 3 major crops, as well as other resources such as on invasive plants, electric fencing and relevant publications. This represents the majority of the most serious pests currently affecting the eight main crops being grown within Bhutan. Information for additional pests and crops will be incorporated with time.